Izzo Swami is one of the most reliable brands in golf GPS market. They have perfected the art of developing uncomplicated devices with razor-sharp accuracy. The bare-bone functionality relieves you of distractions and keeps you focused on your game with only the cardinal information. Izzo Swami dazzles the buyers in terms of price, producing some of the cheapest Swami golf GPS units. Many other brands have attempted to ditch the bells and whistles, but they always cost a little higher than Izzo. Izzo has the lined up the most precise Swami golf GPS line and the aforementioned products are the boon of no-nonsense golfers. Between these 3 top picks, Izzo can cater to almost all types of golfers except the compulsive tech-savvy ones. For beginners that attractive price and simple figures can serve as a passive trainer. All this and add durability to this equation. Therein lies the beauty of Izzo Swami Golf GPS devices. Izzo Swami 4000 reigned the golf GPS from the common golfers’ throne for quite some time. It was so well received that the golf community almost missed out on its successor, the Swami 4000+ golf GPS device. With a $20 difference approximately, they have chosen to retain the DNA of 4000 that worked so well and added on the features that its users demanded the most. 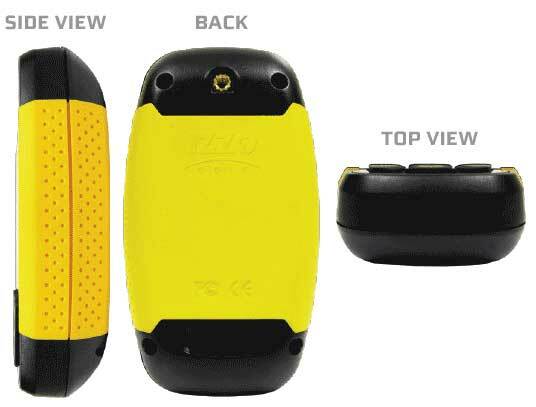 ​Distances to hazards and doglegs are easily the highlight of the spec of Swami 4000+ golf GPS unit. The screen has an anti-glare finish to ward off reading problems in bright light. Automatic hole advance keeps your location latest on the course. As with Swami 4000, there is no annual subscription fee with 4000+ either. The neat peppy design of Izzo Swami 5000 golf GPS rangefinder is attractive right out of the box. Izzo claims that it brings everything you need into the palm of your hand. It is presented as a lightweight unit with only the most relevant set of features and a convenient screen size. It makes a great transition piece for golfers switching from laser rangefinders to golf GPS. This is an entry-level handheld device in terms of functionality and is priced to match that, just like the other devices in the Swami line. Battery life has also improved over the previous figures. Izzo claims that 5000’s battery will survive two rounds on a single charge. They give a 1-year warranty as well on this device for fussy owners. Izzo Swami Sports Golf GPS is a stalwart of their austere yet resourceful golf equipment. It is a small handheld device that is better categorized as a clip-on. Sport Swami Golf GPS is a simple device that costs 30 percent less than the Swami 4000. It can be your perfect mate if you have just made a foray into golf rangefinders. The important note about distances is that it measures only distances to front, center, and back of the greens. Hazard distances are not conveyed on this golf GPS unit. The reverse display is much easier to read in bright sunlight. Auto course recognition quickly identifies the course you are on and pulls up the map and yardages. Like Swami 4000+, this is also loaded with 30,000+ course maps. Izzo Swami Sports Golf GPS is a prime example of the cost-effective product line of Izzo.